Sean Rafferty presents a selection of music and guests from the arts world. Including live music from jazz singer Curtis Stigers and Argentinian pianist Sergio Tiempo. 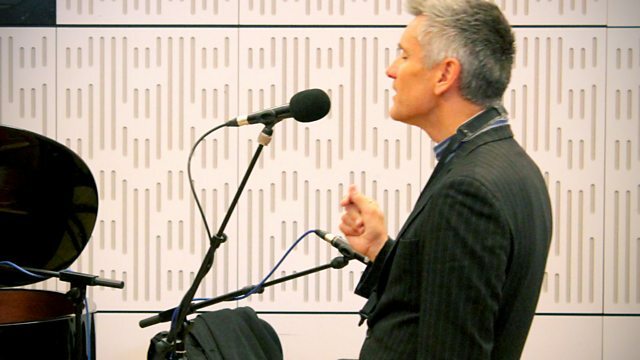 Sean Rafferty presents a lively mix of music and chat including live music from jazz singer, songwriter and saxophonist Curtis Stigers whose new album 'Hooray for Love' is released today, and rising-star Argentinian pianist Sergio Tiempo ahead of his recital at the Queen Elizabeth Hall in London. Plus sound artist Bill Fontana on his new sound sculpture Vertical Echoes, part of a major new series to mark the First World War Centenary at Imperial War Museum North. String Quartet Op. 96, 'The American' last Mvt. Ravel: Ma Mere L'Oye; Pavane pour une Infante Defunte: Orchestre Symphonique de. Singer: Curtis Stigers. Composer: Gene de Paul.